Migraine is an episodic neurovascular disorder that is clinically divided into two main subtypes that are based on the absence or presence of an aura: migraine without aura (MO) and migraine with aura (MA). Current molecular genetic insight into the pathophysiology of migraine predominantly comes from studies of a rare monogenic subtype of migraine with aura called familial hemiplegic migraine (FHM). Three FHM genes have been identified, which all encode ion transporters, suggesting that disturbances in ion and neurotransmitter balances in the brain are responsible for this migraine type, and possibly the common forms of migraine. Cellular and animal models expressing FHM mutations hint toward neuronal hyperexcitability as the likely underlying disease mechanism. Additional molecular insight into the pathophysiology of migraine may come from other monogenic syndromes (for instance cerebral autosomal dominant arteriopathy with subcortical infarcts and leukoencephalopathy, which is caused by NOTCH3 mutations), in which migraine is prominent. Investigating patients with common forms of migraine has had limited successes. Except for 5′,10′-methylenetetrahydrolate reductase, an enzyme in folate metabolism, the large majority of reported genetic associations with candidate migraine genes have not been convincingly replicated. 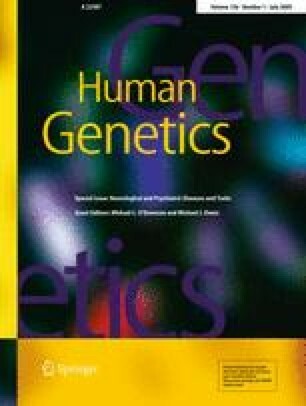 Genetic linkage studies using migraine subtypes as an end diagnosis did not yield gene variants thus far. Clinical heterogeneity in migraine diagnosis may have hampered the identification of such variants. Therefore, the recent introduction of more refined methods of phenotyping, such as latent-class analysis and trait component analysis, may be certainly helpful. Combining the new phenotyping methods with genome-wide association studies may be a successful strategy toward identification of migraine susceptibility genes. Likely the identification of reliable biomarkers for migraine diagnosing will make these efforts even more successful. This work was supported by grants of the Netherlands Organization for Scientific Research (NWO) (903-52-291, M.D.F, R.R.F., and Vici 918.56.602, M.D.F), the EU “EUROHEAD” grant (LSHM-CT-2004-504837; M.D.F, R.R.F, A.M.J.M.v.d.M), and the Centre for Medical System Biology (CMSB) established by the Netherlands Genomics Initiative/Netherlands Organisation for Scientific Research (NGI/NWO).